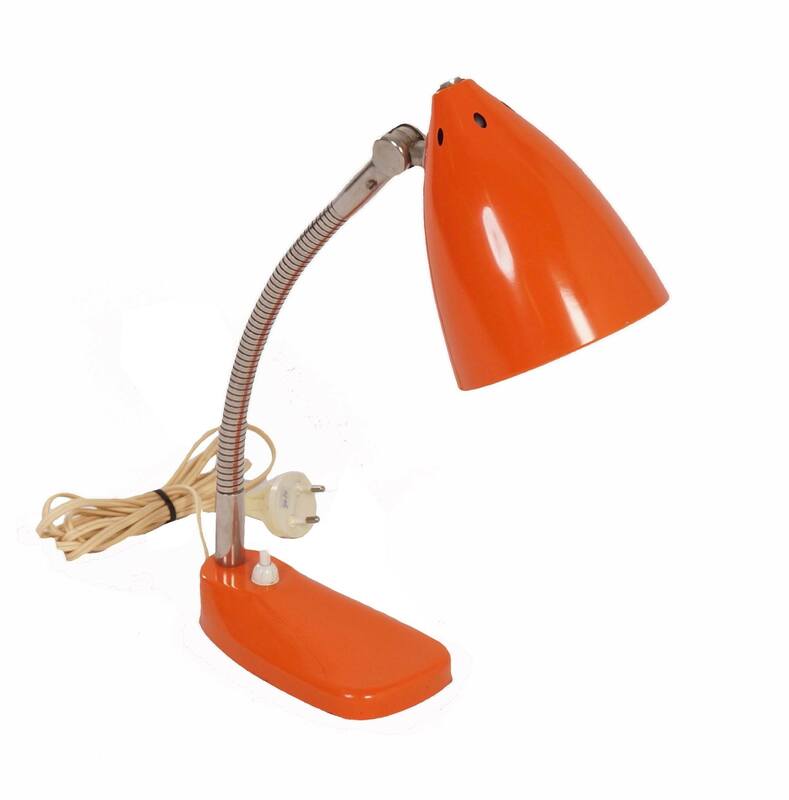 Orange model 13 desk light designed by H.Th.J.A. Busquet for Hala in the 1950s. This Hala lamp is adjustable because of the flexible arm and adjustable shade. Considering its age this vintage table desk light is still in very good condition, some minimal traces of usage. Measurements: height x width x depth = 36 x 11,5 x 27 cm. Source: catalogue Hala 1955.